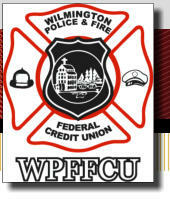 The Wilmington Police and Fire Federal Credit Union is member-owned and directed organization dedicated to providing financial services to its members. We aspire to be your primary financial institution, providing an array of lifetime financial services to you and your family. We will provide efficient and accurate services in a cost justified manner. These objectives will be accomplished by the combination of responsible, committed management, employees and volunteers who are stimulated to perform, grow and achieve.